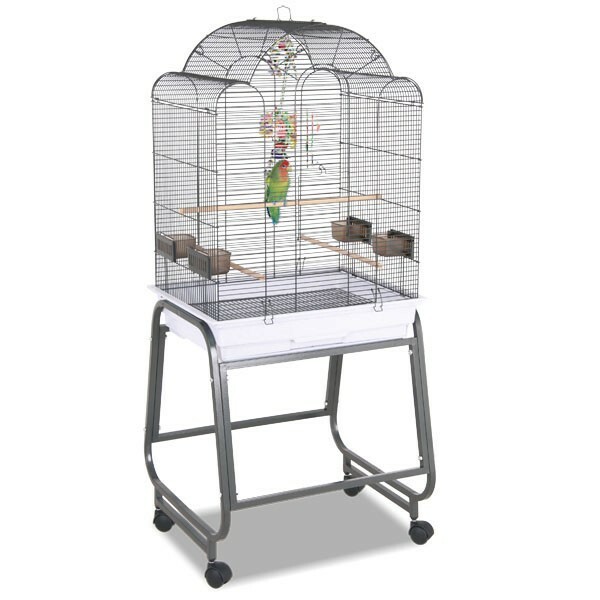 The Montana Memphis I is suitable for small to medium sized birds such as parakeets, small conures, lovebirds, cockatiels and budgies. Memphis I is coated with the patented Avilon powder - this special non-toxic powder coating is the best choice for your parrot. The Montana Memphis I features 4 feeder bowls and a pull out lower drawer for easy cleaning. A popular parrot cage with a simple design and a large door for easy access. The stand, which is included in the delivery, is detachable. Please take into consideration, that the above mentioned values are standard values. Decoration not included in scope of delivery. links "Memphis I Bird Cage – Antik (Antique)"
customer reviews on "Memphis I Bird Cage – Antik (Antique)"
Table patio for budgies & Co.